Spain is the 2nd largest car manufacturer in Europe and 8th worldwide and the largest commercial vehicle manufacturer in Europe. Many reputed car makers are established in Spain with 9 multinational brands and 17 manufacturing plants. 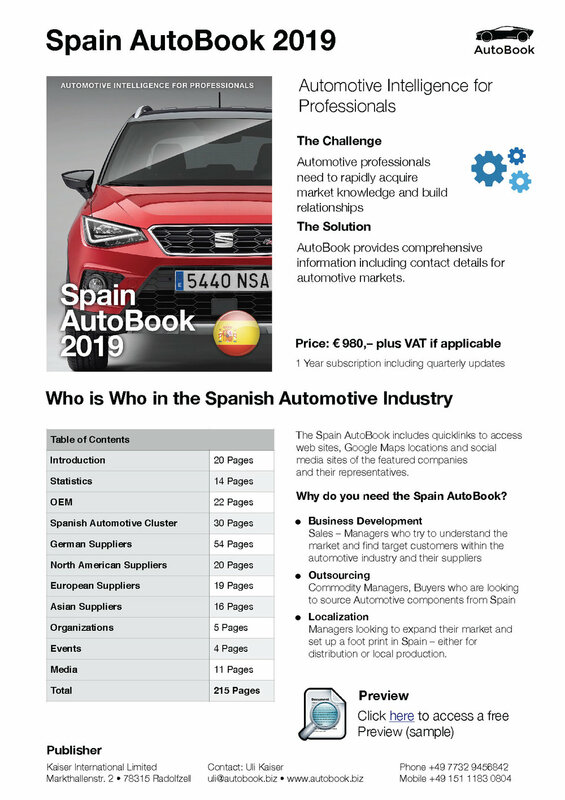 The Spain AutoBook includes company profiles of OEM car makers, Multinationals and Spanish automotive parts suppliers as well as organizations, media and exhibitions. Fill out the form below to access our free preview of the Spain AutoBook. Click below to access our Spain AutoBook Datasheet.